The Best Restoration Provider For Insurance Companies – How to Choose it? We understand that disaster restoration and cleaning services are almost always time sensitive. This is why our specialists can arrive on-site within two hours of your call, no matter the situation. Our representatives are available 24 hours a day, and can be reached at (503) 376-6666. We are happy to answer any of your questions or concerns, and will get a crew out to you as swiftly as possible. Homes and businesses with water damage must be treated quickly to reduce the risks of structural damage, mold and bacterial growth, pest infestations, and more. 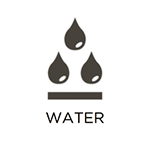 Common sources of water damage can include: sewer backups, burst pipes and sprinkler heads, leaking pipes, rain and storm flooding, and more. While it can be a huge headache to deal with a significant amount of water damage, it is crucial to have it extracted and cleaned as soon as possible to prevent it from spreading. RestorationMaster provides emergency water damage restoration and flood cleanup services in the Gresham, OR area to complete mitigate all water from the affected area and repair the building structure. We fully inspect affected areas, remove standing water and moisture, and fully dry, clean up, and restore your property to its original condition. With our services, you can look forward to have all of your building structure and contents returned to their original conditions. 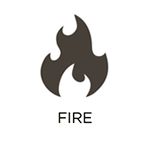 Fires are extremely problematic because of the structural damage they can cause, as well as the smoke and soot left behind. They are also considered one of the most dangerous and destructive as the smoke and soot will cause etching and tarnishing to the remainder of your building materials. When receiving a significant amount of fire damage on your property, it is crucial to have it cleaned right away. RestorationMaster is available in the Gresham, OR to provide emergency fire damage restoration services. We fully secure your property before working to clean, repair, and restore all affected areas to their original conditions. We also work with insurance during the claims process so you can focus on more personal matters during this stressful and traumatic situation. Finally, after our services have been completed, you can expect to have your home or business completely restored to provide a safe and clean environment again. While water damage can be destructive to your property, sewage contamination is a completely different story. It is even more harmful because of dangerous bacteria and waste within the fluid. Not only are your building materials soiled, but significant amounts of bacteria are present which can pose serious health effects. When dealing with sewage contamination, call RestorationMaster in the Gresham, OR area to completely sanitize and dry out the affected area. In addition to disinfecting the hard-surfaced materials, we will remove any porous structure and order a replacement within the first visit. We also utilize commercial cleaning equipment to rid your property of any variety of contaminated water, and proceed to fully sterilize and restore all affected areas. Finally, you can look forward to returning to a clean and safe environment once again. Soot and smoke are notorious for lingering long after their arrival if not treated properly. Even after the flames of a fire have been extinguished, the damage will continue to spread throughout the remainder of the property. They will cause severe etching and tarnishing, creating irreversible damage if not treated right away. However, it is important that you do not attempt to clean any structure yourself as any improper products and techniques can worsen the damage. It is best to allow the professionals such as RestorationMaster handle the cleanup process as they have years of experience in fully cleaning and restoring damaged materials and content in the Gresham, OR area. We also provide tarping services to minimize the spread of soot, and will fully clean, restore, and deodorize affected areas, as well as your personal belongings. Finally, we will work with your insurance to allow everything to run smoothly while you can focus on other urgent matters. Especially right after water damage has been restored, finding mold can be a hassle to remove. There are many types that love to find humid and moist locations within your home near organic food supplies. As it is also able to spread by releasing its spores, it can pose a severe risk to those who are battling allergies and breathing problems. However, it can only be removed with use of special products that will reach deep within the structure and remove it at its source. RestorationMaster provides professional mold remediation services in the Gresham, OR area. 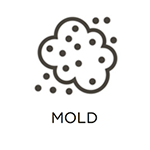 We target, contain, and remove mold to ensure that you and your loved ones are left with a sanitary living space once more. After our services, not only can you look forward to a clean home, but to an improved indoor air quality. There are many situations that can leave your home or business with an unpleasant, and potentially dangerous, odor. Whether derived from cigarette smoke, burnt food, or skunk, it can easily spread throughout the property and become potent. Ultimately, it is important to have these odors removed as soon as possible as some individuals may be sensitive to their effects. RestorationMaster provides professional deodorization services in the Gresham, OR area to fully remove all unwanted smells from the air. The techniques our technicians utilize to fully deodorize your property and belongings include thermal fogging, Nano carbon technology, and hydroxyl and ozone technology. Finally, you can look forward to a clean environment that provides fresh air and not have to be reminded about any types of damage, smoking, or animal stench on the property. Personal items are at just as much of a risk as your home itself when disaster strikes. Unfortunately, restoration services typically only cover the repairs of building structure. However, any family heirlooms, antiques, and jewelry will be extremely difficult to replace if they are not restored right away. RestorationMaster provides professional content cleaning in the Gresham, OR to clean, restore, and deodorize your irreplaceable items. In the event that your property has sustained significant damage, your items will be carefully packed, transported, and restored at our climate-controlled facility with the use of our pack-out services. A detailed inventory will be created for each item that was taken for cleaning, providing a copy to you and your insurance agent. Hoarded belongings can pose safety and health risks to family and friends, such as running the risk of a fire or blocking emergency exits. However, many hoarders are too embarrassed by the condition of their home to call for help. They will need the assistance of a trusted family or friend to help them with the cleanup process. 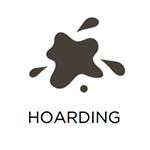 Once you have talked to this individual, it is important to call RestorationMaster if they live in the Gresham, OR area for professional hoarding cleaning services. We understand that this is a highly personal topic, and will work with you to remove unwanted debris, preserve valuables, donate unneeded items to charities and family members, and fully restore affected areas. Finally, we will disinfect the entire property and remove any mold, biohazards, and odors in order to restore a safe and healthy environment. Carpets should be professionally cleaned at least once per year in order to preserve their prominent look. Because they receive the most use out of any furnishing within the home or building, they can easily become worn-down and discolored after a significant amount of debris has settled within the fibers. However, professional carpet cleaning will not only return your carpet to a like-new condition, it will also extend the lifespan of your carpet. To schedule an appointment for a residential or commercial cleaning, call RestorationMaster in the Gresham, OR area. In addition to pre-treatment and post-treatment cleaning, as well as a variety of inspections along the way, we utilize a professional-grade, hot water extraction method to fully cleanse your carpet’s fibers. We will then apply a special product that will preserve its clean and pristine condition for the future. Discovering that your property has been left in ruins after a natural disaster can be extremely traumatic. However, while you may think that it is too late to save the structure and belongings, there is actually another option. RestorationMaster provides emergency reconstruction services that include board ups, restoration, and remodeling procedures in the Gresham, OR area. The property will first be stabilized and then fully reconstructed to get you back on track as soon as possible. 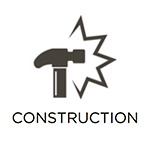 In addition to our handymen, carpenters, and contractors, a supervised field instructor will oversee the entire project and keep you updated every step of the way. Finally, you can rely on our services to return your home or business to its original condition, providing a safe and healthy environment once again. While it can be a relief to finally return to your home or work after remodeling or construction services, it can be a whole new headache to discover that it is covered in dirt and debris. While this can not only be stressful, it also poses a health and safety risk as the sawdust in the air can cause coughing and sneezing as well as nails and screws on the floors causing an injury. While the cleanup for smaller properties can be handled individually, dealing with a large building can be overwhelming. However, RestorationMaster provides professional post construction cleanup services to commercial and residential properties in the Gresham, OR area. From sweeping and mopping to removing all debris from the furnishings, you can expect your home or business to be fully restored quickly and effectively. No matter the source of the damage, any natural disaster can leave a home or building in an unstable condition. Whether it was caused by a flood, fire, earthquake, hurricane, or other occurrence, the property faces the risk of additional damage or even collapse if it is not stabilized right away. If you have found your property in this situation, don’t hesitate to call RestorationMaster for emergency board up services in the Gresham, OR area. Our technicians are available 24/7 to arrive on your property with all materials needed to secure the structure until restoration and reconstruction services can occur. By covering roof leaks, broken windows, and gaping holes in the siding, you can have some peace of mind knowing that the building will be secured until repair services can be made. The negative consequences of property damage are always more costly for businesses because of damaged equipment and lost time spent repairing facilities that are needed to operate efficiently. RestorationMaster addresses the unique needs of companies through our commercial restoration services. We have the project managers, technicians, and overall restoration expertise required to return your property back to normal under any circumstances. As a business ourselves, we understand how quickly costs can add up when you are unable to operate at full capacity, and always work as efficiently and cost effectively as we can. If you are located in or around Gresham, OR, we encourage you to utilize this service. If you do not see a specific service listed that you need, please feel free to contact our representatives, regardless, as we may be able to help. We can be reached at (503) 376-6666, and are available 24 hours a day to answer your questions.